Want to know the best and worst online shops? Then look no further, Which? can reveal the online shops that you love. And the ones you don’t. Our 2015 online shops survey is the most comprehensive yet, after being opened to the general public for the first time. More than 10,000 people across the UK have given us their no-holds-barred opinions of the biggest online shops. And we’ve crunched the numbers to tell you where best to spend your money online. See a full table of results with our guide to the best and worst online shops. Joint winners are white-goods and TV retailer AO.com and beauty specialist LizEarle.com. Customers love their speed and efficiency. AO.com (formerly Appliances Online) promises free standard delivery on thousands of items, plus same-day delivery for an extra charge – a lifeline for customers whose freezer or washing machine has broken down. Beauty firm Liz Earle offers free delivery on orders over £50. Customers praised its ‘beautiful wrapping’ of products and habit of sending free samples. Our results not only reveal which online shops are the best and worst overall, but also the best places to shop for different items. So click the links to find out the best places to shop for electrical products, DIY and decorating products and baby and child products. Online shops that fail to offer ease and convenience also fail to win over their customers. Customers criticised the firm which came last – saying its website did not have enough information. Several customers even said they were forced to call its customer service centre to find out more – hardly a great online shopping experience. You probably won’t want to shop in the stores which came at the bottom of our table. Find out which were the worst online shops. Our survey found that UK shoppers buy online because they think it’s easier to find what they’re looking for, it’s cheaper, has a greater choice of products and they can shop around the clock. 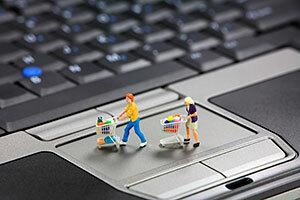 Shoppers want ease and convenience when shopping online. Our results can help you choose the shops that are likely to deliver – both in terms of actually getting your goods to you, and making your experience hassle-free. But if you still prefer to hit the high street because you like a good browse, don’t want to worry about missed deliveries and like to get your hands on products before you buy, we can also help you choose the best and worst high street shops.